KATHMANDU, Jan 30: CPN-UML Chairman KP Sharma Oli has said that 'underground money' should be allowed to come to the surface. Talking to a delegation of the Nepal Chamber of Commerce (NCC), UML Chair Oli, who has been projected as the new prime minister following the left alliance's electoral victory, argued that one reason behind low investment in the country was a restriction on the use of 'underground' money. Banks and financial institutions (BFIs) have put in place measures whereby individuals or entities using banking channels should disclose the source of their cash. By 'underground money', Oli was apparently referring to money whose sources have not been identified. The statement from the chief of the largest party comes in the wake of recent stringent measures embraced by the government to the curb illicit flow of finances in line with the global fight against money laundering and terrorism financing. "The money that has remained underground should be allowed to come to the surface. Its legalization should be allowed. It should be allowed to be 'laundered'. A way for 'laundering' should be provided," he told the delegation from the NCC--an umbrella organization of businessmen. "The government should tax such money. Otherwise, such money should just get channeled to the casino since there is no restriction on the money there," added Oli. The country needs such funds for investment, employment generation and for raising production. Many interpret the recent statements of the UML chairman as an indication that the incoming left government could be lenient in dealing with black money in the country. Earlier, Oli had also expressed his opposition to the recent regulation of the Ministry of Finance and Nepal Rastra Bank (NRB) fixing the cash transaction limit at Rs 1 million. "The statement that black money should be allowed to be laundered is against the anti-money laundering act of the country," Rameshore Khanal, a former finance secretary, told Republica. "There cannot be a property whose sources cannot be identified. The source [of money] can be either legitimate or illegitimate. Illegitimate [money] should be confiscated," added Khanal. 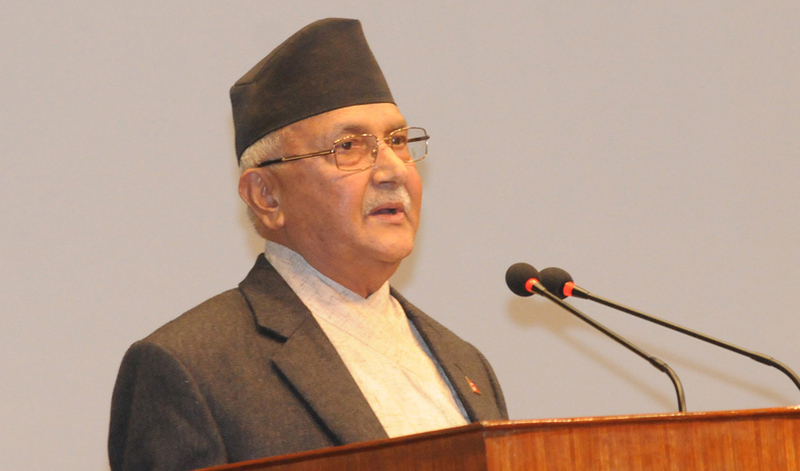 CPN-UML) leaders, however, defended Oli's statement. "We are against black money. However, to investigate and get to the roots of underground money for ascertaining whether it is legitimate or not, such cash should first come to the surface," Pradeep Gyawali, CPN-UML secretary, told Republica. "We are for discouraging such illegal money."